The Archdiocese of Washington confirms Cardinal Donald Wuerl knew of sexual misconduct allegations against ex-cardinal Theodore McCarrick more than a decade ago, despite Wuerl's insistence last summer that he had no knowledge of the alleged abuse. The Washington Post reported that Wuerl reported an allegation of misconduct by McCarrick to the Vatican in 2004. The Archdiocese of Washington confirmed this in a statement to NBC News. The allegation came from a former priest, Robert Ciolek, who reached a settlement with the church in 2005, the Post reported. Ciolek told the Post that the Pittsburgh Diocese has a file that shows Wuerl brought his complaint to a Vatican ambassador. In a statement to NBC News, the archdiocese said that Wuerl's previous statements about McCarrick referred to "claims of sexual abuse of a minor," not the claims made by the former priest. But the archdiocese went on to say Wuerl "stands by those statements, which were not intended to be imprecise." In a statement to NBC News, the Archdiocese of Washington said Ciolek "was allowed to review the file regarding his Pittsburgh complaint" and that the "Diocese of Pittsburgh and then-Bishop Wuerl acted appropriately in addressing his complaints." Wuerl resigned as archbishop in October amid a storm of criticism after a Pennsylvania grand jury report said he allowed priests accused of sexually abusing children to be reassigned or reinstated when he was the bishop of Pittsburgh. The Archdiocese of Washington understands that in 2004 Robert Ciolek, a former priest of the Diocese of Metuchen, filed a complaint in the Diocese of Pittsburgh asserting claims of abuse arising from an adult relationship as a seminarian with a Pittsburgh Diocese priest assigned to the faculty of Mount Saint Mary’s Seminary, where Mr. Ciolek was studying. In that same complaint, the Archdiocese understands that Mr. Ciolek claimed that years prior, he as an adult seminarian also experienced inappropriate activity involving Archbishop Theodore McCarrick. At that time, the Archdiocese understands that Mr. Ciolek requested confidentiality he submitted. The Archdiocese also understands that Mr. Ciolek's 2004 claim was addressed immediately by the Diocese of Pittsburgh and then-Bishop Donald Wuerl. The priest in question was immediately removed from ministry. Bishop Wuerl also quickly forwarded the Ciolek claim regarding then-Cardinal McCarrick to the Papal Nunciature in Washington, D.C., and received no further information regarding the matter. Bishop Wuerl adhered to Mr. Ciolek's request for confidentiality, and the Archdiocese understands that Mr. Ciolek also expressed his gratitude with how the Diocese of Pittsburgh handled his allegations. In late 2018, the Archdiocese understands that Mr. Ciolek was allowed to review the file regarding his Pittsburgh complaint, and that Mr. Ciolek confirmed that the Diocese of Pittsburgh and then-Bishop Wuerl acted appropriately in addressing his complaints and in fulfilling his request that his assertions regarding then-Cardinal McCarrick be submitted to the Nunciature in Washington, D.C.
As Cardinal Wuerl has noted, neither he, the Diocese of Pittsburgh nor the Archdiocese of Washington were made aware of Mr. Ciolek’s settlement with the Diocese of Metuchen until the Diocese disclosed the confidential settlement in July 2018. Further, Mr. Ciolek began publicly sharing his experiences in the Fall of 2018. The Archdiocese’s communications with Mr. Ciolek were meant to be respectful of what he has experienced. Furthermore, Cardinal Wuerl has attempted to be accurate in addressing questions about Archbishop McCarrick. His statements previously referred to claims of sexual abuse of a minor by Archbishop McCarrick, as well as rumors of such behavior. The Cardinal stands by those statements, which were not intended to be imprecise. It is important to note that Archbishop Theodore McCarrick was appointed to the Archdiocese of Washington in November 2000 and named a cardinal in February 2001, years before Mr. Ciolek made his claims. Then-Bishop Wuerl was not involved in the decision-making process resulting in the appointment and promotion. 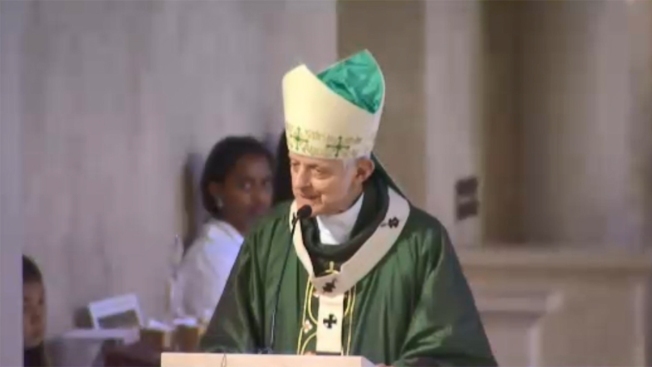 In June 2006 Bishop Wuerl was named Archbishop of Washington. Cardinal Wuerl has said that until the accusation of abuse of a minor by Cardinal McCarrick was made in New York, no one from this archdiocese has come forward with an accusation of abuse by Archbishop McCarrick during his time in Washington.